That’s one question many of us have pondered about once or twice. Whether it’s the TV, a phone or a laptop, you probably have at least one electronic or tech item in your home that you no longer want. Wouldn’t it be great if you could make money from it? Old, unused and even broken electronics can be traded for cold hard cash, and who doesn’t want more of that? 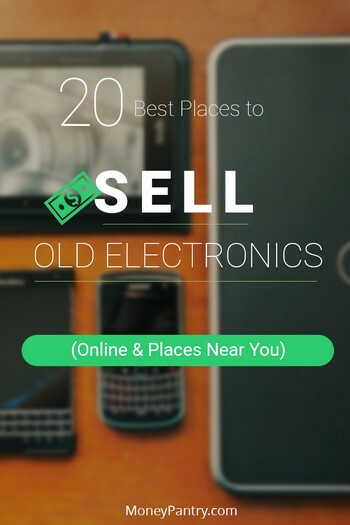 Below, we’ve compiled a list of 20 of the best places to sell electronics, both online and offline. The Amazon Trade-In program is one of the best places to sell used stuff including electronics. One of the main reasons for this is the fact that it accepts such a wide variety of electronics. Amazon states that all items you want to sell through the Trade-In program must “be in at least acceptable condition”. This probably means that you can’t sell broken electronics through the program. You can find out more about which electronics you can sell here. Amazon covers the cost of shipping and there are no fees involved either. Best Buy is another company that lets you trade in a wide range of electronics. You might be wondering, where can I sell electronics for cash near me? With the Best Buy Trade-In program, not only can you sell electronics online, but you can also trade them in at participating Best Buy stores. Go to BestBuy.com/TradeIn to estimate your item’s trade-in value and to find a participating store near you. How much you get for your electronics is based on their functionality, condition and current resale values. If your item is not eligible for a trade-in, then Best Buy will recycle it for you – that’s pretty handy! If you sell the item online, you get a free UPS shipping label to print out. If you’re looking to get cash for electronics quickly, then you should definitely check out Gazelle. According to Gazelle, you can sell your electronics in minutes. All you need to do is visit the Gazelle website, find your device and then you’ll get an offer. If you accept the offer, you ship the item to Gazelle – this is free for items worth $1 or more. Gazelle doesn’t accept as wide a variety of electronics, as Amazon or Best Buy do. Generally, it only accepts phones and computers. You can sell your unwanted and used electronics to Gazelle online, or offline at one of Gazelle’s kiosks. According to the company, you get more for trading in your electronics online, than you do offline. Gazelle pays via PayPal, check or Amazon Gift Card. Another great place to sell used electronics and unwanted tech is at It’s Worth More. All you need to do is visit the site and find your device, then you’ll get an instant quote. It’s easy to trade items in with the site, as it offers free FedEx/UPS shipping. It’s Worth More is another platform that doesn’t accept as wide a range of items as Amazon and Best Buy do. It’s Worth More offers payment through PayPal or check. 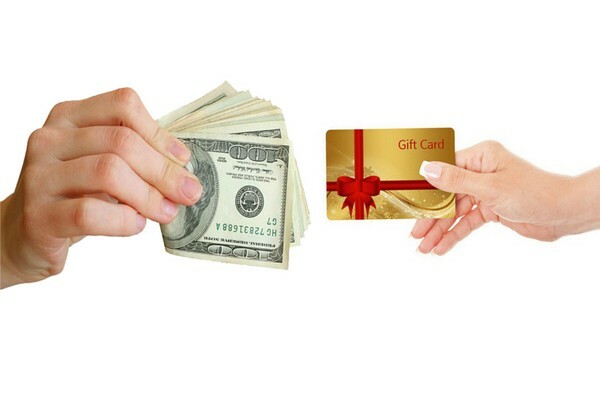 The site also offers a refer a friend program. If you refer a friend, when they sell something through the site, you get $10. Another website that simplifies the process of selling used electronics is Glyde. If you’re looking for a quick and easy way to sell your old electronics, then you should definitely check it out. It’s a reputable platform that’s been featured by a number of major media outlets, like The New York Times and CNN. Glyde differs to other websites, as it doesn’t directly buy used electronics from you. Instead, you list the item you want to sell and you get offers from different people who want to buy it. All you need to do is find the item you want to sell on the website and list it. Listing an item is free, and you don’t have to write a long description to go with it or add a photo. If someone buys your item, Glyde sends you a shipping kit, which includes a pre-paid shipping label. You can track the shipment at any time, and it’s fully insured too. Glyde accepts mostly cell phones and smartphones – even broken ones! Glyde is one of the best places to sell cell phones for cash. So, if you’ve got a broken phone that’s just gathering dust in a drawer at home, then you could make some cash from it with Glyde. But, phones aren’t the only type of tech that you can sell. Glyde can pay you by check, or in Bitcoin, and you can also withdraw your earnings to your bank account. If you choose to be paid by check, you will be charged a $2 fee. The other payment methods are free. If you’re looking for a reputable platform to sell your electronics, which accepts a wide variety of different devices, then you should definitely check out BuyBackWorld. It’s one of the best places to sell electronics. The website has been featured by many media outlets, like Forbes and USA today. Selling through BuyBackWorld is easy. All you need to do is enter your device, and you’ll get an instant quote. Then, you ship your items to the site, which is free, as BuyBackWorld sends you a shipping kit. ItemCycle is a platform that makes selling used tech easy. You can search for your device on the site. Once you find it, you’ll need to answer a few questions about it. After you’ve done that, you’ll get an instant offer. The website provides a free shipping label, so it doesn’t cost you anything to ship your item. ItemCycle sends payment via PayPal or check once it receives your device. GameStop isn’t just for renting and selling video games anymore. You can also use it to sell your unwanted electronics. Unlike the other places on this list, GameStop doesn’t offer online trading. If you want to trade in an item, then you’ll need to locate a store near you. You can find out more about the trading program and find stores here. You can trade in your used tech and electronics for cash or for store credit. If you’ve got a few unwanted electronics sitting at home, then you should check out the Walmart Gadgets to Gift Card program. Trading in an item is fairly easy. You simply search for it on the website and answer a few questions about it. Then, you get an offer. You are provided with a shipping label, so it’s free to ship your item. After your item is evaluated, you’ll get a Walmart eGift Card. You can generate a quote from Target online. You get a prepaid shipping label to use, so it doesn’t cost you anything to send your electronics. Items are processed, very quickly. You get a Target gift card in return for your electronics. Sell Broke accepts quite a wide variety of different electronics. What sets Sell Broke apart from other places on this list is that it actually accepts broken items too. So you can sell broken electronics to the site! You can get an instant quote from the website by selecting the electronic you want to sell and stating what condition the item is in. Once you have a quote, SellBroke.com will email you a UPS prepaid shipping label, so sending your item doesn’t cost you anything. Sell Broke will review your item to determine its condition, and if it matches the condition you stated in the instant quote form, you get paid. Sell Broke pays via PayPal or check. EcoATM is a company that allows you to sell cell phones, MP3 players, and tablets. Unlike many of the other places on this list, EcoATM doesn’t allow you to trade your electronics online. Instead, you visit one of EcoATM’s kiosks and trade your electronics there. All you need to do is place your device into the kiosk and it will examine the item and search for the highest price on offer. How much you get for your device depends on its condition, the model, and its current market value. If you agree to the offer, then you get paid instantly. Visit this page to find an EcoATM near you. EcoATM pays you in cash. This is another easy to use platform for selling electronics. What’s great about Gadget Salvation is that it allows you to get rid of almost all types of electronics. It even allows you to sell broken items! It accepts laptops and phones with broken screens. Simply visit the website, search for your device, provide some details about your item, and fill out the checkout form. Then, Gadget Salvation sends you a prepaid shipping label, so you can ship your device for free. Gadget Salvation pays via check or PayPal. If you’re asking, “where can I sell electronics for cash near me?”, then you should definitely check out Craigslist. On Craigslist (and similar classified sites), you can post an ad for your device, for free. It should contain a short description of the product and some photographs. Here, your actual ad and its headline play a big role in the outcome. The principle is the same as with writing garage sale ads. You want the title to be catchy, and the body, descriptive and to the point. You will need to communicate and meet up with prospective buyers and handle payment yourself, but posting on Craigslist is a good way to find buyers near you. With Craigslist, you and the buyer are responsible for choosing the payment method. Another great way to find local buyers is through Facebook For Sale or Buy and Sell groups. They’re essentially yard sale groups. So, if you’re wondering, “how can I sell a TV for cash near me?” or “how can I sell my old phone to someone nearby”, then you should definitely take a look at Facebook. A quick search could yield groups in your area. As with Facebook, you and the buyer choose the payment option. Yard Sales are still a great place to sell stuff, including electronics. You can tap into an older, less internet-savvy crowd. If you’ve got other used items to sell or a lot of unwanted electronics, then consider hosting a yard sale. And, before you do, make sure you check out our in-depth posts on how to price a yard sale and how to advertise a yard sale. For yard sales, most items are paid for with cash. We have talked about uSell in our uSell review post. Through this website, you can sell smartphones, tablets, and other electronics, like game consoles. You can sell both working and damaged phones. Just visit the uSell website, select your device, and you can view offers from the site’s network of buyers. It’s another platform that lets you ship your items for free. It sends you a prepaid shipping kit. So, if you do accept an offer, you don’t have to pay anything to send it to uSell. You get paid via PayPal or check. Once the buyer receives your device, you get payment within 5 business days. On GizMogul, you can sell quite a wide range of products, although not as wide a variety as you can on Amazon and BuyBackWorld. It’s a reputable platform that’s been featured by prominent media outlets, like ABC News, the Boston Globe and The Huffington Post. You can choose to get paid via PayPal or check. Through Maxback you can sell your electronics quickly and easily. To sell electronics through the platform, you first need to visit the website to search for your device. You’ll get a quote, and if you accept it, you need to send the device to MaxBack. This is free to do, as the site provides you with a prepaid USPS shipping label. Once MaxBack receives your device, you receive payment within 3 business days. It’s another platform that offers payment via PayPal or Check. With YouRenew you can get cash for your old phones, laptops and other electronics. As with many of the other platforms on this list, with YouRenew, you search for your device, get an offer, and ship your device. YouRenew offers free shipping on “qualified orders”. You receive payment via Check. If you’ve got some electronics lying around your house that you no longer want, then don’t just leave them there gathering dust. Even if they’re broken, you can easily make a profit out of used electronics. What Is Swagbucks & How Does It Work? Is It a Good Deal?